All-new from SkyRC is the B6 Nano 320W DC micro multi-chemistry charger. 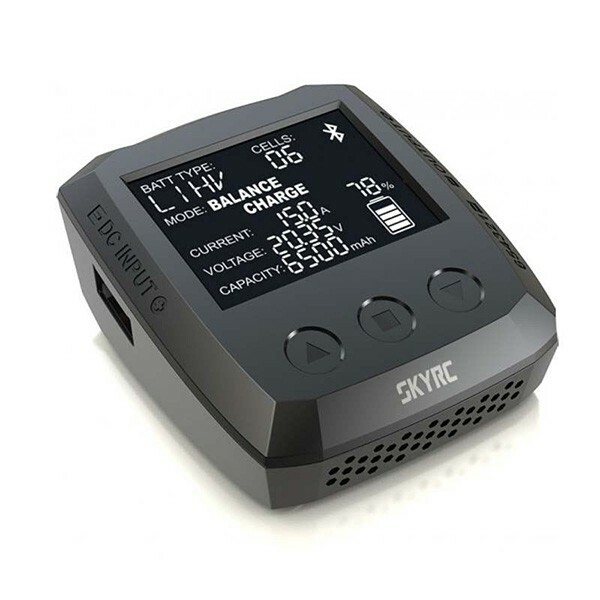 It measures a compact 76x85x37mm and weighs in at only 130g but packs a bunch of features such as a 50×37.5mm black screen display, touch buttons, up to 15A charging current, and 6S LiPo-compatibility. A LiHV mode allows to use the device with the latest generation of high-voltage LiPo batteries, and thanks to Bluetooth connectivity the charger can be controlled, monitored and upgraded using iOS or Android mobile device apps.